Niterói is a charming city for its natural beauties, its rich historical, architectural and cultural heritage, for its sophisticated gastronomy, and for the privilege of being only 13 km from the city of Rio de Janeiro. We present below the smiley city’s main tourist routes. Niterói is the second city in the world with the greatest number of works by the architect Oscar Niemeyer (the first is Brasília). This architectural complex led to Niterói an important cultural revitalization and a new tourist scene. 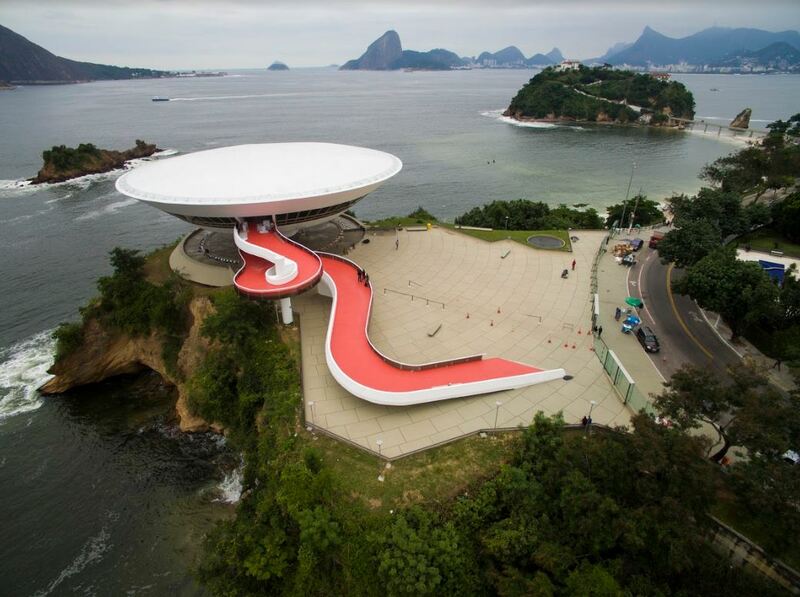 The Niemeyer Way houses 7 works: Teatro Popular , Science and Creativity Museum, Roberto Silveira Memorial, Tourist Assistance Center (CAT), Juscelino Kubitschek Square, Petrobras Cinema Center and Contemporary Art Museum – MAC. Following through the seafront, there is another important work of the architect: the Waterway Station of Charitas. Designed by the architect Oscar Niemeyer, it is a work of art in harmony with the privileged panorama that overlooks the waters of the Guanabara Bay. Inaugurated on September 2nd, 1996, the local shelters temporary exhibitions and a collection of contemporary art from João Satamini, one of the largest collection in the country, that portrays the Brazilian art from the 50’s. 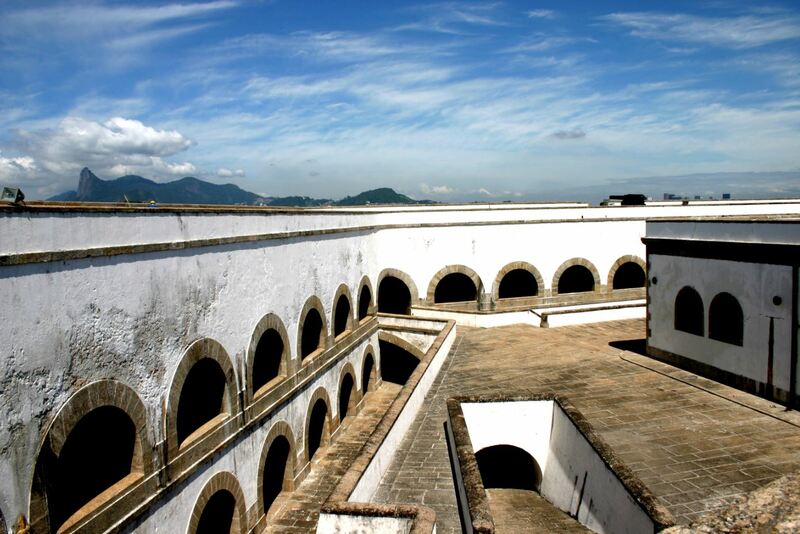 Niterói has the largest continuous set of forts and fortress in Brazil, created by the Santa Cruz Fortress and by the Forts: Pico, São Luiz, Barão do Rio Branco, Tabaíba and Imbuhy. The Santa Cruz Fortress was the first to be made aroud the Guanabara Bay in 1555. Entering the Barão do Rio Branco Fort, at the top of the Pico Hill, are the ruins of the architectural ensemble that, in the 18th century, were the Pico and São Luiz forts.